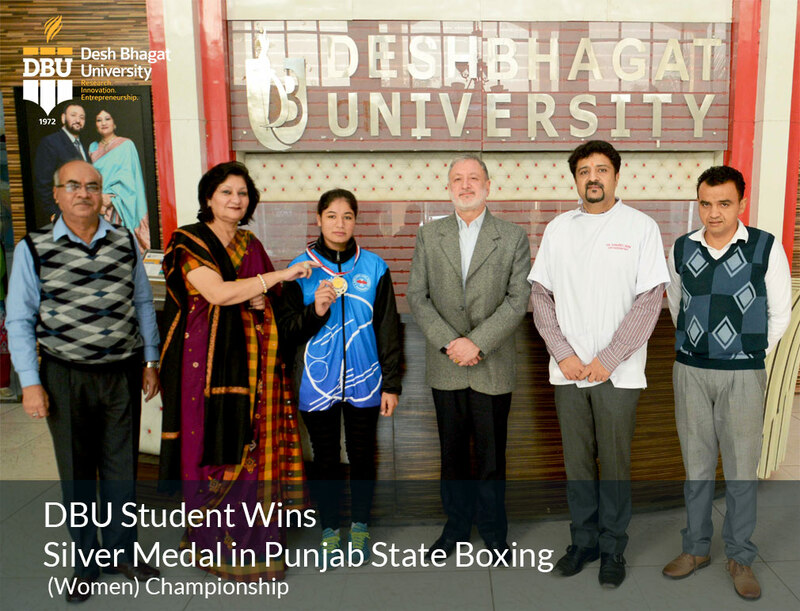 Among best education colleges in punjab, Desh Bhagat University Faculty of Education student Harmandeep Kaur has brought glory to the institution by winning Silver Medal in State Level Boxing Competition. 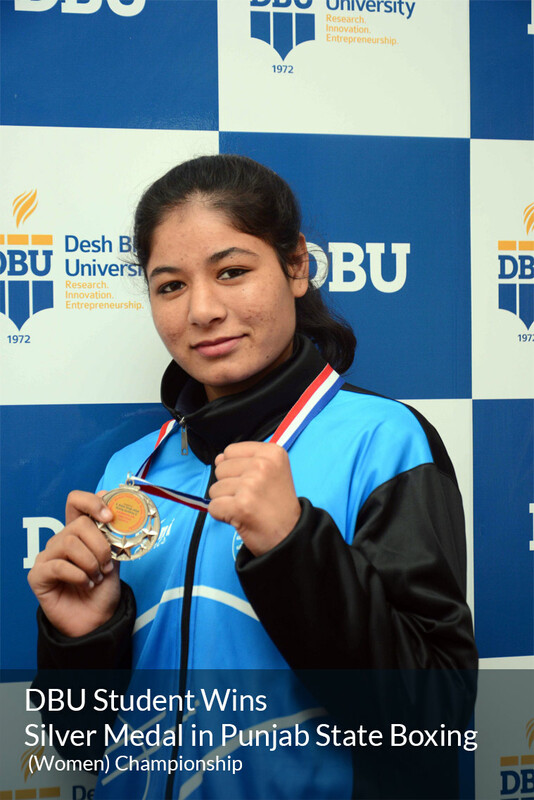 Harmandeep won her Silver Medal during the 2nd Elite (Senior) Women Punjab State Boxing Championship held recently at Phagwara. This was disclosed by DBU Chancellor Dr. Zora Singh. While felicitating the student, he said that Harmandeep Kaur proved her worth during a very tough competition in Feather Weight (57Kg) category. She is our Shining Star and a role model for other students. She has proved that hard work and dedication always bear fruit, he added. Dr. Singh expressed the view that games and sports are an integral part of our education and to promote the same among students, Desh Bhagat University among universities in punjab provides all types of incentives and facilities to the outstanding players. University Pro-Chancellor Dr. Tajinder Kaur and Vice-Chancellor Dr. Virinder Singh while congratulating the student over the achievement said that university gives full importance not only to research, innovation and other scholastic activities but also to sports and other co-curricular activities. 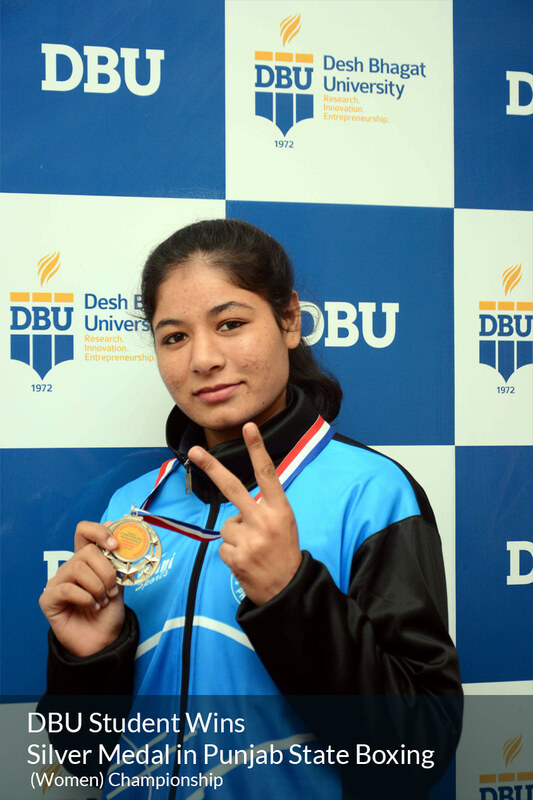 Harmandeep Kaur gave whole credit for her achievement to the sports facilities available in the university and the able guidance of her coach and Assistant Director (Sports) of DBU Mr. Nandan Singh.